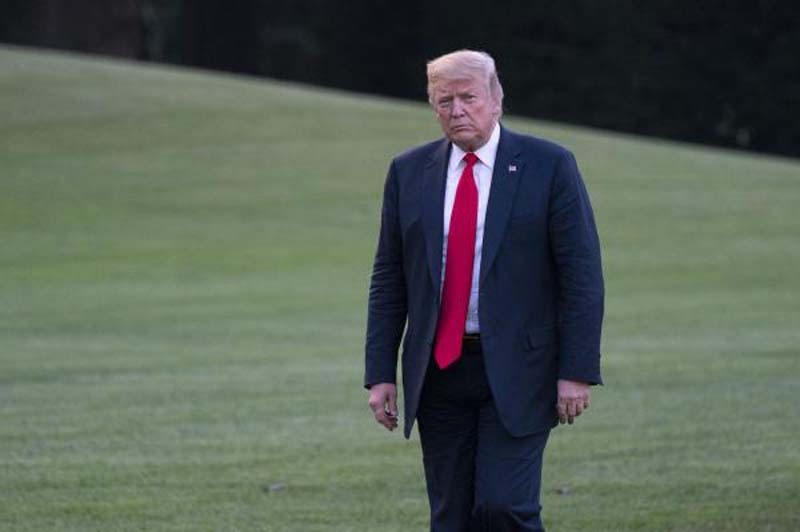 President Donald Trump threatened Sunday to shut down the government if Congressional Democrats don't vote in favor of various border security policies. Trump shared a tweet Sunday morning, stating he would allow the government shut down for the third time during his presidency to secure funding for a border wall between the United States and Mexico and changes to U.S. immigration laws. [post_ads]"I would be willing to 'shut down' government if the Democrats do not give us the votes for Border Security, which includes the Wall!" Trump wrote. "Must get rid of Lottery, Catch & Release etc. and finally go to system of Immigration based on MERIT! We need great people coming into our Country!" Immigration policy was also a central factor when the government shut down for two days in January as Democrats fought for a fix for the Deferred Action for Childhood Arrivals program, which provides a pathway for young undocumented immigrations brought to the United States by their parents. Trump has previously made similar statements at various rallies throughout the nation and said in February he would "love" to see the government shut down if Congress didn't agree to changing immigration laws. "I'd love to see a shut down if we can't get this stuff taken care of," he said. "If we have to shut it down because the Democrats don't want safety ... let's shut it down," he said during a a roundtable with law enforcement officials to address the MS-13 gang at the time. Three days later he signed a new two-year budget deal, ending a 5 1/2-hour government shutdown.